The European Space Agency created the world’s first thruster which allows satellites to remain in orbit for years longer than they currently do. The secret? The thruster runs on particles of air in the atmosphere. Others have tried to improve the staying power of satellites before, but most are still limited by the amount of fuel they can carry. 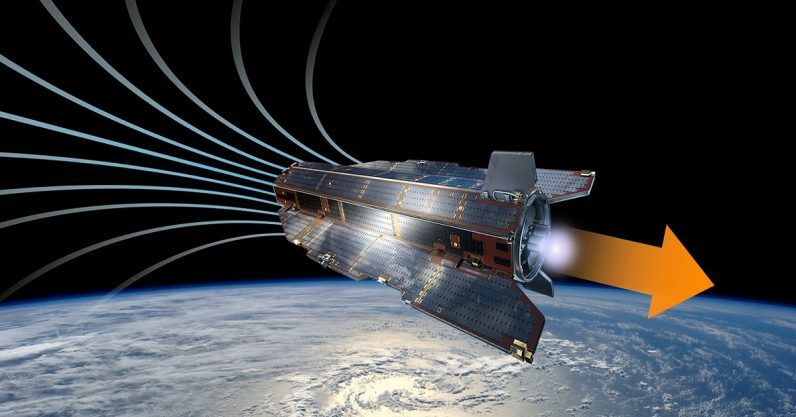 The new ion thruster “breathes” the rare air particles in the top of the atmosphere, allowing the satellites to remain without immediate need for refueling. The thruster was developed by an ESA team and built by SITAEL, a private company in Italy. The air particles bounce away from satellites normally, but the thruster collects them and gives them an electric charge, after which they are ejected to provide thrust that counteracts atmospheric drag. Replacing onboard propellant with atmospheric molecules would create a new class of satellites able to operate in very low orbits for long periods. Air-breathing electric thrusters could also be used at the outer fringes of atmospheres of other planets, drawing on the carbon dioxide of Mars, for instance. The ESA tested a working model of the thruster for the first time earlier this week in a vacuum chamber in Italy.